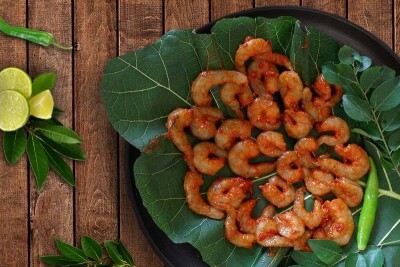 Yummy and healthy marinated prawns (peeled, cleaned & deveined) - Marinated Fresh. Less work, more taste! Ingredients: Fresh prawns, Chilli powder, turmeric, salt, oil, curry leaves.